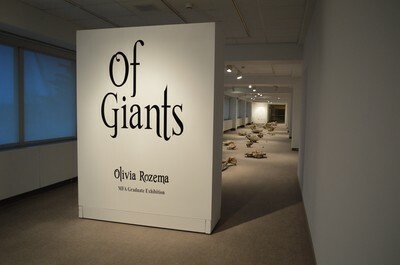 Of Giants is series of ceramic sculptures of enlarged human body parts. 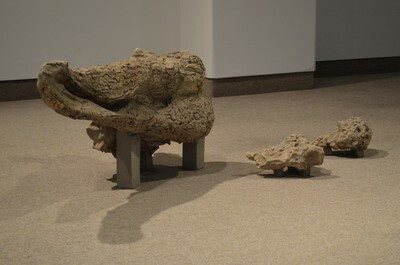 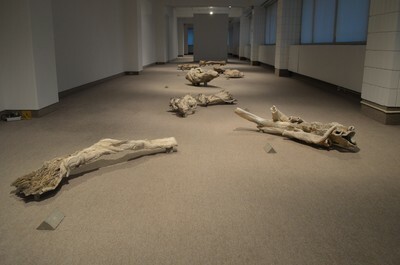 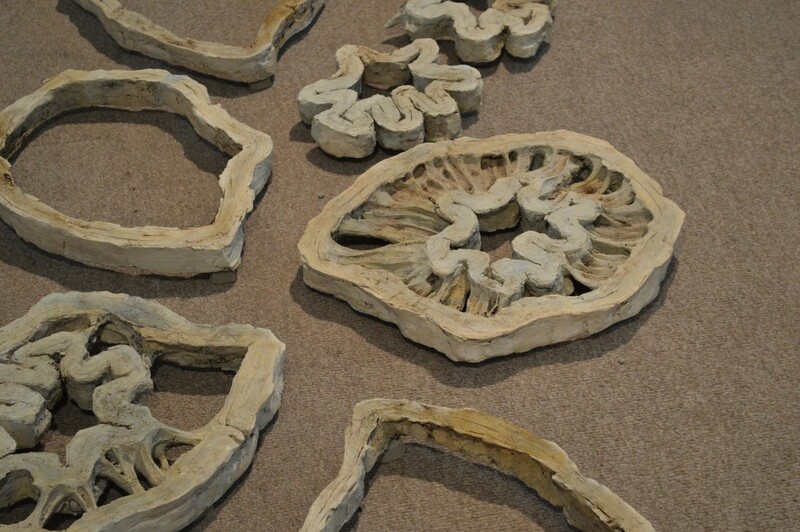 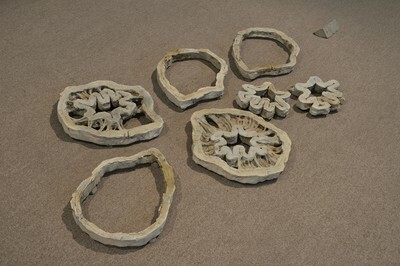 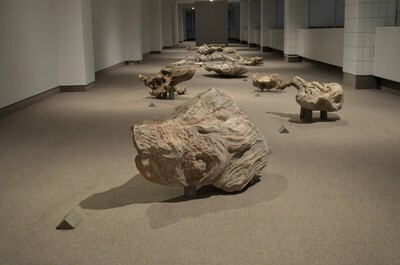 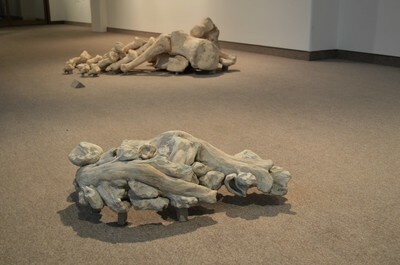 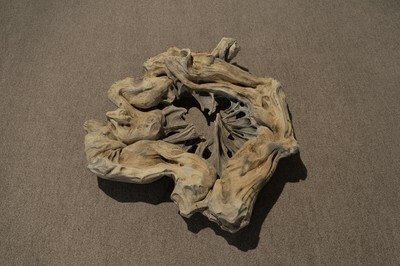 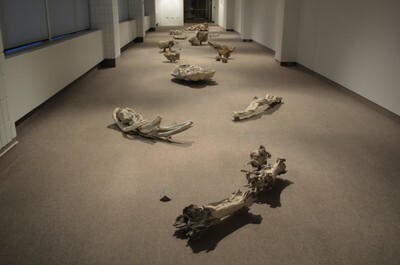 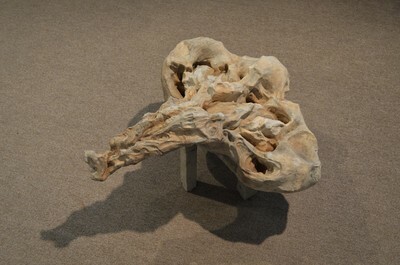 Based upon a series of preparatory drawings completed at the McMaster Medical Anatomy Lab, each sculpture represents of an individual piece of the body. 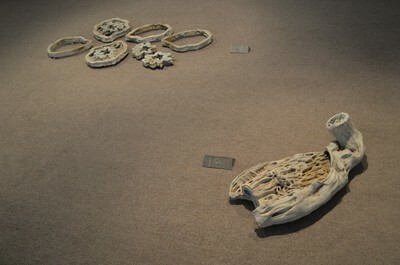 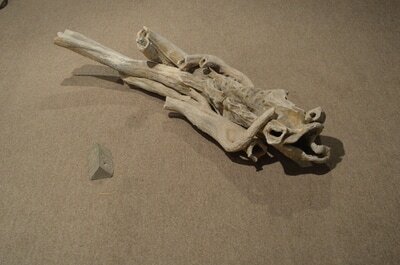 With these sculptures I have peeled away layers of skin and biological purpose to reveal a formal sculptural object. I believe we are encouraged to see our bodies as either meat or machine; these sculptures subvert this point of view to encourage a relationship with our internal anatomy that is more celebratory than it is medical or grotesque. 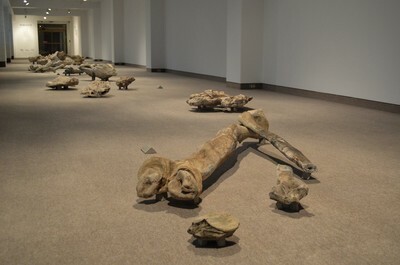 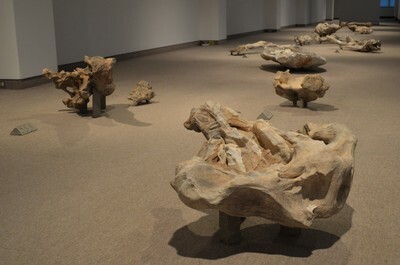 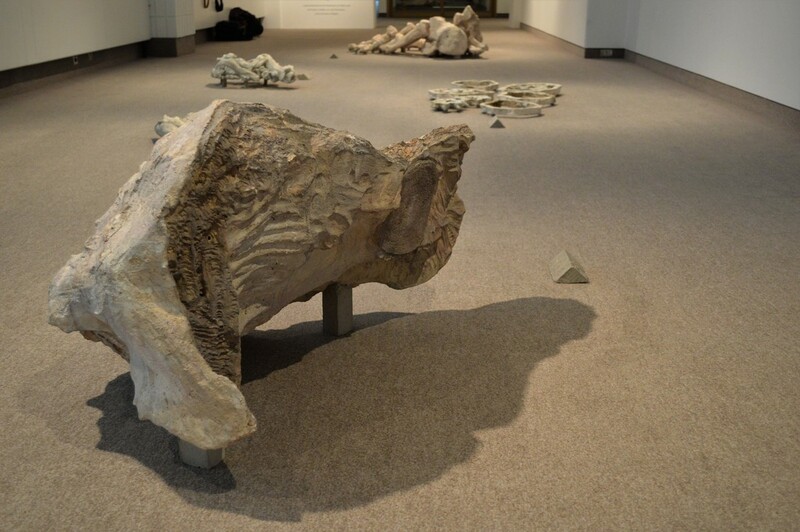 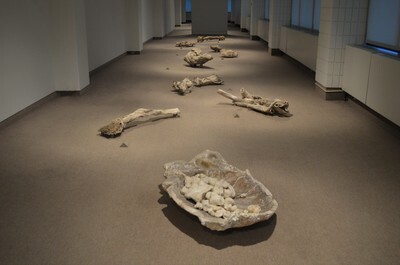 Despite their beginnings as human anatomic specimens, as a result of their scale and surface, these sculptures seem to be the remnants of a gargantuan pre-historic creature. 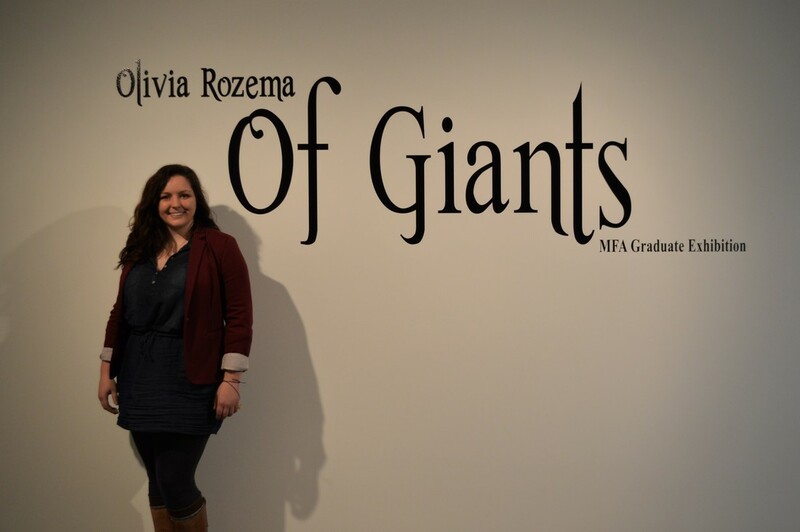 They have an excess in size that places them outside the realm of human, but in truth our insides are the strange giants that are strewn across the gallery floor. The final frontier is beneath our skin, and although they often remain unseen, our bodies are made up of a complex network of sculptures that each person carries with them as they move through their lives. 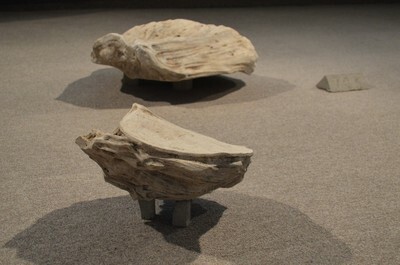 Emulating the format of catalogued specimens each sculpture is titled with a number. These titles are a reference to the organization system of a medical lab, but also play with mathematics, as the number stands for how tall a person would be if these fragments were a true part of a body. 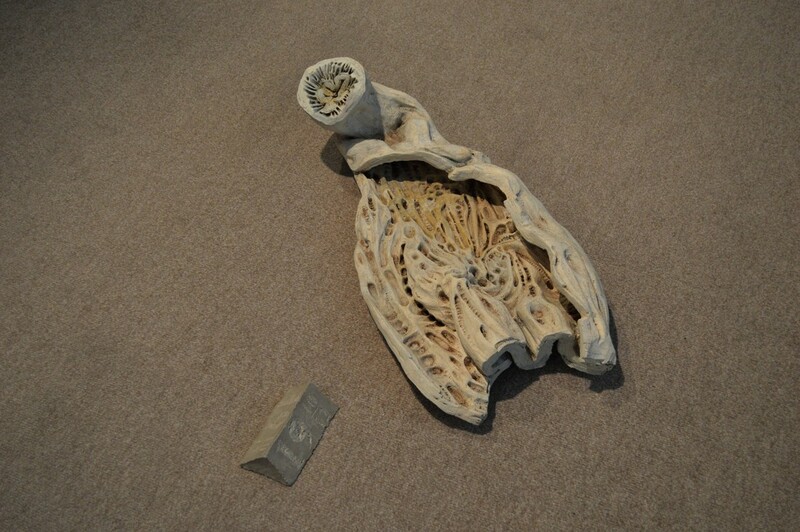 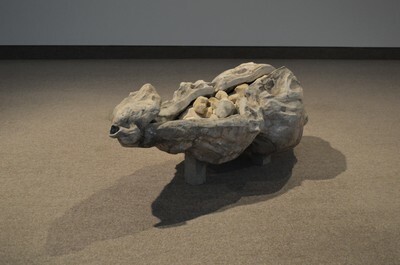 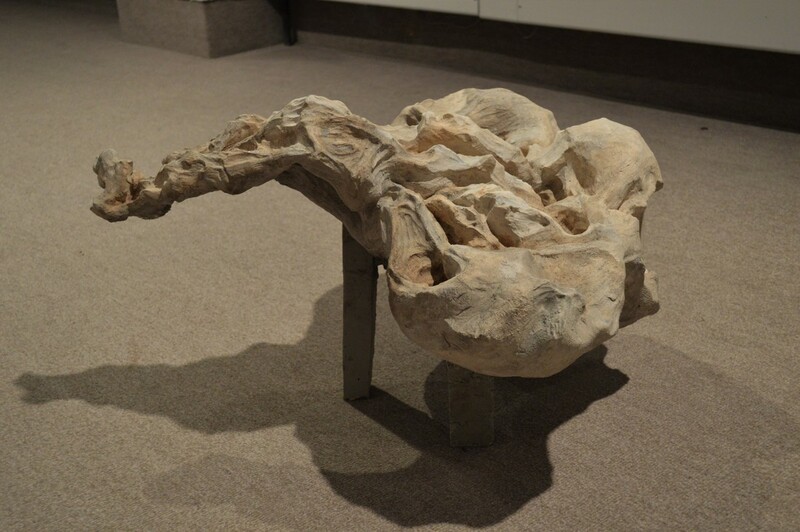 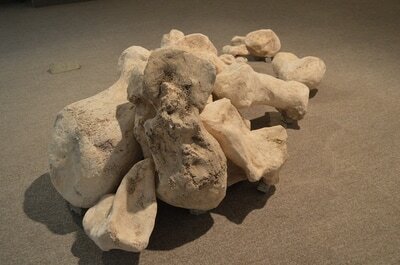 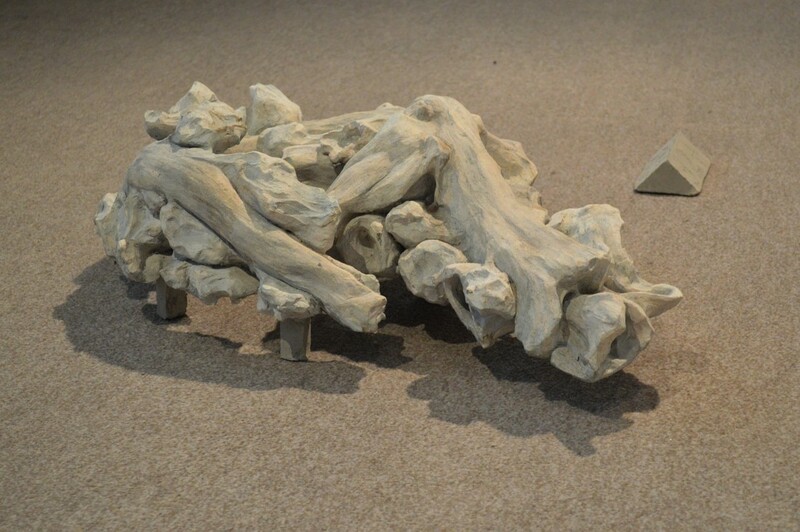 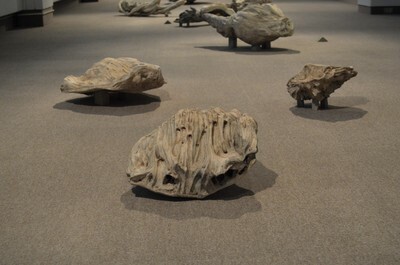 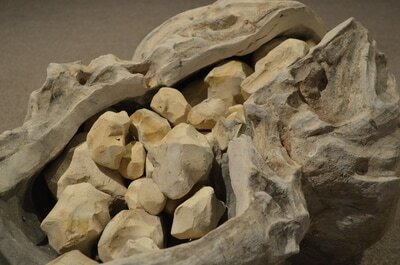 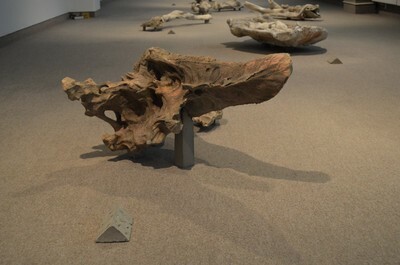 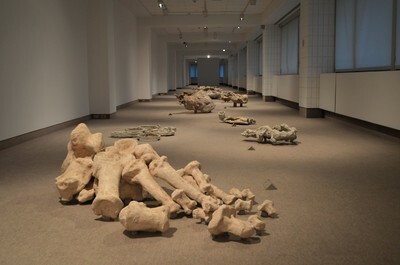 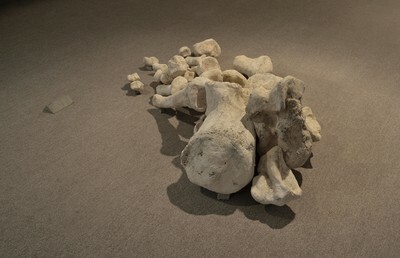 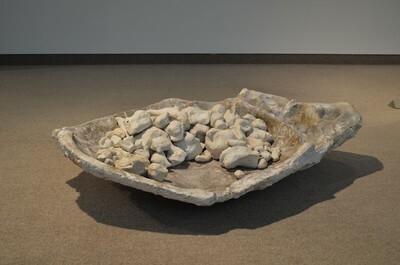 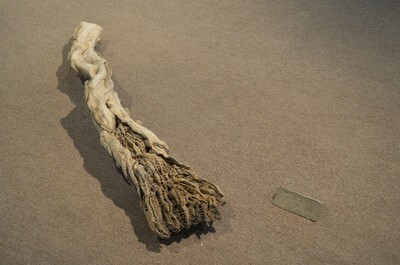 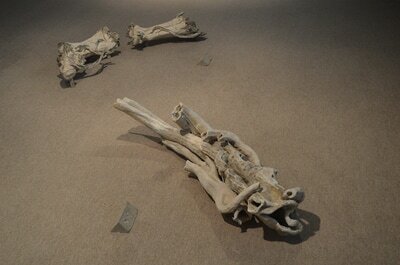 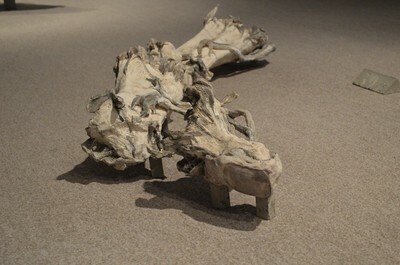 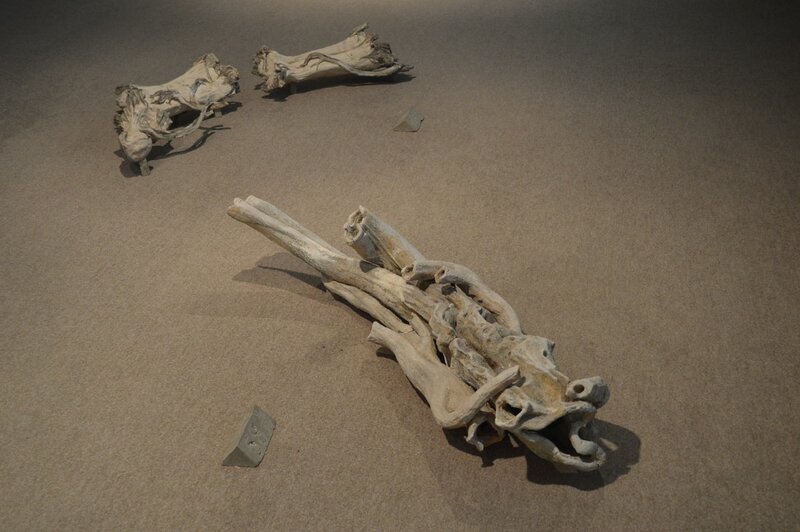 For example, the sculpture which represents all the bones in a human left foot is titled 49 10/12. This means that a person with a giant’s foot of this scale would be about 49’ 10” tall. These giant-scale human body parts re-mythologize and monumentalize our hidden and mysterious insides giving viewers the opportunity and license to imagine their own body parts as complex and compelling formal objects.